Photo by Lorraine Reid; 1947. 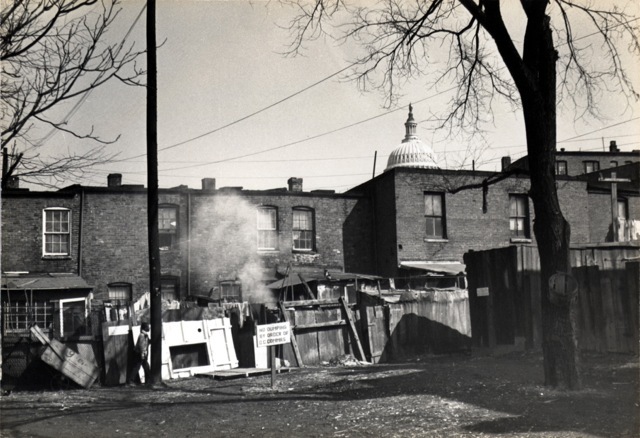 Alley off First Street SW, between B and C Streets SW; now Rayburn House Office Building. Also see the interview with Marie Sansalone Guy, who describes Wonder's Court, behind her childhood home at 240 First Street SW; we think this must be the same place.